This morning my daughters were planning to get together with many from their Cross Country team and do their long run on the trails at Yellow River Park in Stone Mountain. Since I was going to be taking them anyway I decided I would run the trails once again. Since I ran my 17 mile long run yesterday my legs are pretty trashed, however I had taken the previous 3 days off because of my incident with the speedy driver on Wednesday morning and I didn't feel like I would be over training to hit the trails for Tuesday's scheduled 9 miles. Yes, I am aware it is Monday, but today only called for 3 miles and I really didn't want to waste the great opportunity to put in a few miles while I was there. Tomorrow would be very difficult to get 9 miles in anyway so considering the circumstances I just did a little switcheroo. We got there at 8:00 am and hit the trails by 8:15. I ran by myself because the girls always run with other from their team and I like to run the more technical trails right up against the river. I didn't have the pleasure of seeing another bobcat like last time, however I did still get to enjoy nature. I can assume that I was one of the first ones on those trails this morning because it seems like I got much more than my share of spiderwebs wrapped around my bald head. As I was running along one of the trails I saw a strange rock in the middle of the trail. The funny thing is that this rock was slowly moving across the trail and had 4 legs, a pointy tail, and s head...... until I started to get too close.... then it just looked like a round rock again. Just as I passed him (or her) in the trail I saw a crane take off from the river running right beside me. The river was much more picturesque this morning as compared to the last time we ran there two weeks ago. The last time we ran was the morning following a nice round of thunderstorms, and the river was much higher and much more yellow then it was today. I still don't have my MyTach GPS watch back from the manufacture yet (they had to ship it to Italy where it is manufactured) so I had to run by time. I ran for an hour and thirty minutes and assumed a 10 minute mile for 9 miles. I know I ran a bit faster than 10 minute miles but this calculation will suffice for this morning. 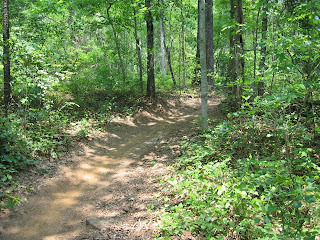 Looking forward to the next time I can head out to the trails! 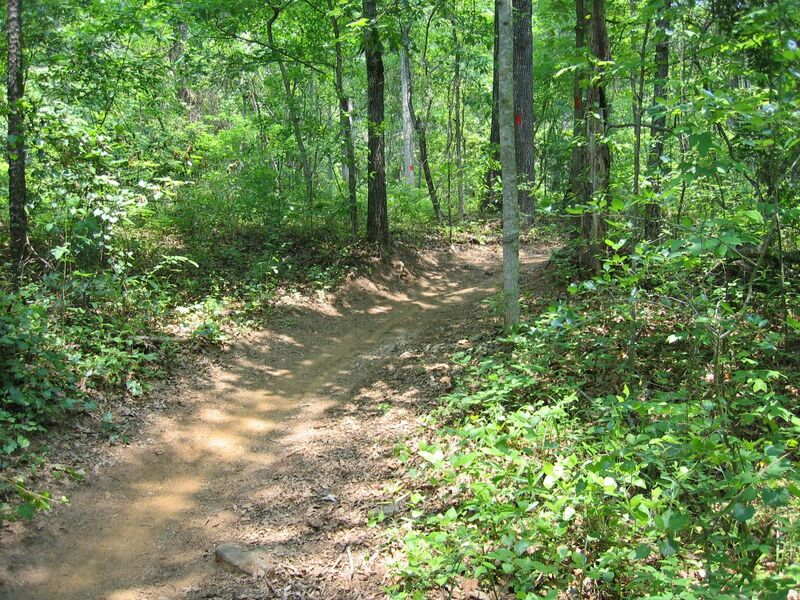 Do you run trails, or do you like to stay on the paved roads? I had a great time reading your blog..Nice post. Thanks for posting. --Life is a constant change.